In a blog post from a few months ago, I briefly mentioned how important good quality sleep is – at least, for me. When life is ridiculous, it’s not always attainable to get that full 8 hours of sleep every night. I mean, I have to wake up in like 4 hours as I’m writing this. So when quantity doesn’t always happen, it’s important to focus on getting really solid sleep in that shorter time window that you’re working with. 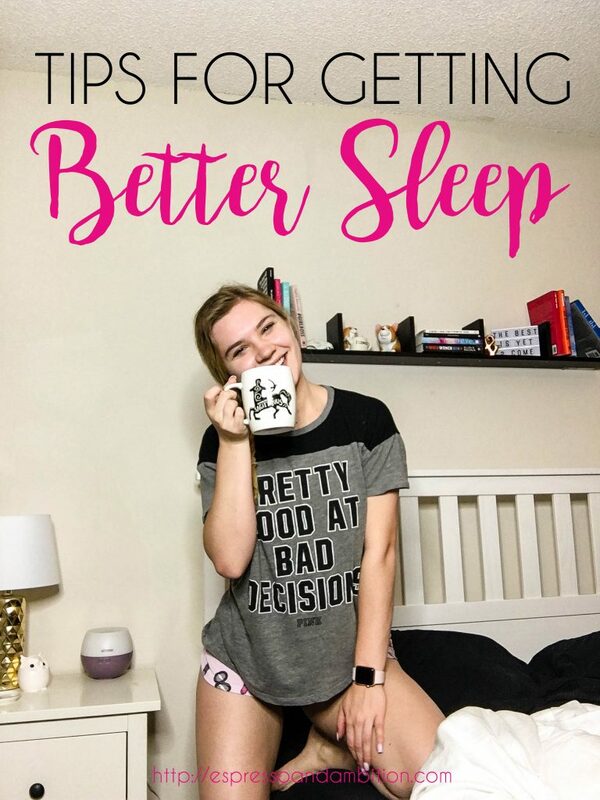 I’m sharing a few of my biggest nighttime habits that ensure I get the best sleep possible in the short amount of time available to me. I actually really love ending my days with a cup of tea. Just like my instinctual first action upon waking up is to make myself a cup of coffee, making myself a cup of tea has become something I naturally do every time I start getting ready for bed. I’m such a sucker for essential oils. I got an oil diffuser for my birthday this past year, and I’ve been using it nonstop ever since. 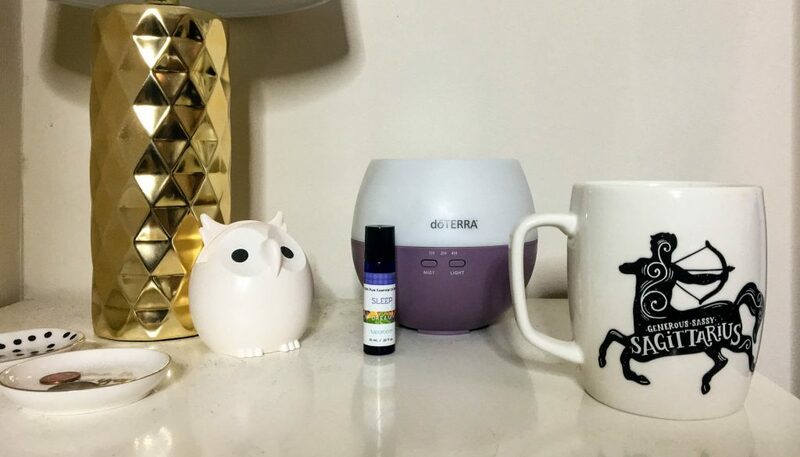 It’s great to put on at night, because I can have the smell of lavender filling up my rooms without worrying about falling asleep with a candle still lit. Kind of going back to the whole “turning your computer off” thing, it’s good to get away from screen time because it helps to mellow your brain out as well. Personally, I love reading before bed; it’s something I enjoy and it gets me away from all of the tasks I was working on beforehand. I know other people journal, or meditate – just anything that allows you to start calming your mind down, so that it’s not racing quite so much by the time your head hits the pillow. Figure out what works best for you, sleep-wise. For me, I need it to be pitch black, but I love having soft music playing. The various sleep tracks on Headspace are perfect for that – I set them to run for 30 minutes. Figure out what works best for you, and commit to it. The entirety of this post can really be summed up by this bullet point. Having a steady routine in the evenings does wonders for your sleep quality. If you have these same certain actions you do right before bed every time, your brain and body eventually start to catch on, making it easier to fall asleep because you’re now conditioned to think, ‘oh, it’s bedtime,’ whenever you drink a cup of tea and smell lavender. 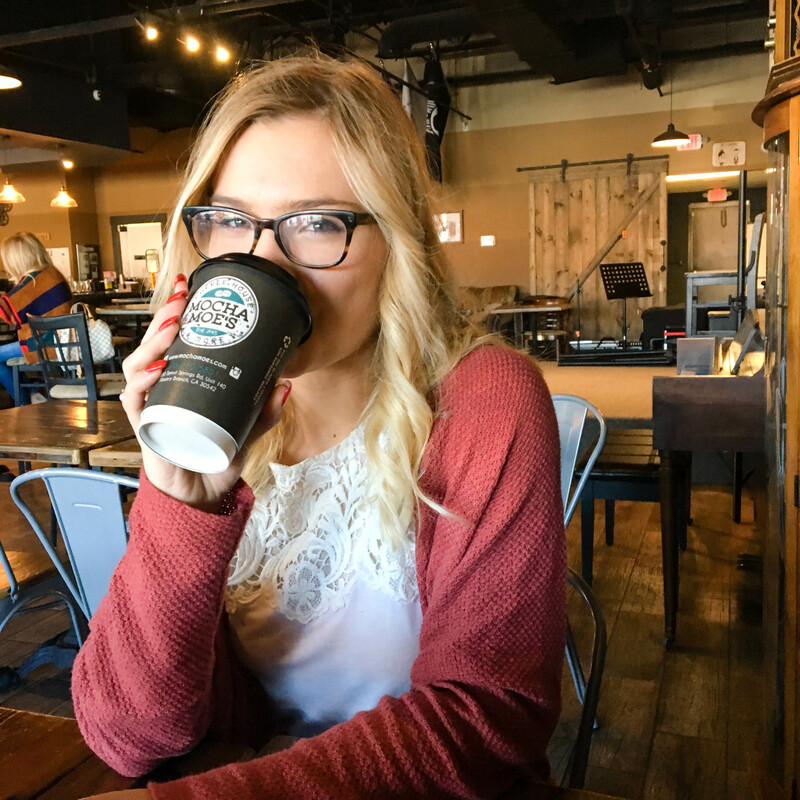 Setting aside those 15-30 minutes for yourself each night will do wonders for your sleep quality, and in turn, your productivity and energy levels the next day. I love to listen to podcasts to fall asleep. I used to be an avid music listener, but it made me think too much and try to connect the lyrics to my life. Not a good thing to do when you’re trying to get your brain to chill. Yeah, I can’t listen to music with lyrics when going to sleep either! So it’s all instrumental stuff for me, haha.